Goddess Sarawati is the Goddess of knowledge, music, art, wisdom, and learning in Hindu. The flaming red symbolize brightness and prospect. 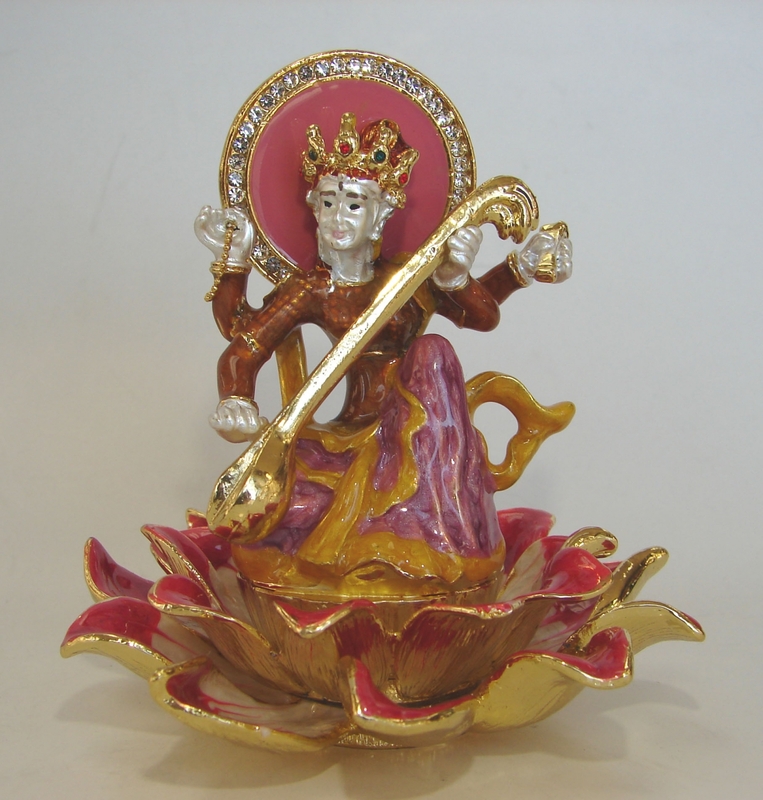 Goddess Saraswati is extremely beneficial for someone who is struggling in academic and creative field. One can display that on the office table to tab the creative and scholastic energy of this Goddess. The dimension of Goddess Saraswati is approx. 3.75" x 3.75" x 4". It is made of metal.